1 What Is a Buy to Let Mortgage? 2 How Are Buy to Let Mortgages Different? 4 How Do I Apply for a Buy to Let Mortgage? A buy to let mortgage is a mortgage designed for buyers who intend to become landlords and rent a purchased property rather than living in it themselves. You may be looking to make an investment in a property that will immediately begin repaying what you have put into it. In cases like this, buy to let properties offer a terrific opportunity for buyers to expand their income or even put back extra money for retirement. Buy to let mortgages are similar to standard mortgages with some important exceptions. Like standard ones the essential part of making a buy to let purchase is understanding the terms of your contract and how they will pan out in reality. Mortgages, like any big financial decision, should not be undertaken lightly, so be sure to discuss your plans with a qualified financial adviser before you make any final decisions. A mortgage broker will be able to help you figure out what your options are. How Are Buy to Let Mortgages Different? Buy to let mortgages have a lot in common with standard mortgages in how they are designed and how they work. Just because there is significant overlap does not mean you should assume a buy to let mortgage does not have unique conditions, however. Understanding these differences is key to ensuring that you will go into your new mortgage with the best chance of a successful long-term investment. One primary difference is that buy to let mortgages typically have higher interest rates than standard mortgages. They will also often carry much higher associated charges and fees. Unlike a typical mortgage, a buy to let mortgage is “interest-only,” which means that you will not pay anything on a monthly basis. The catch is that you will be responsible for the full value of the mortgage at the end of the life of your loan and must repay it at that time. There is something else to keep in mind: Lenders will expect you to pay a deposit at the beginning of your mortgage of anywhere from 20 to 40 per cent of the property value. Usually, this amount is roughly 25 per cent, but that is by no means a hard and fast rule, and each lender will operate differently. Your financial fitness for a loan will also probably be taken into account. Usually, the bigger the deposit you are able to put down upfront, the better the deal you will be offered by your lender. The amount you are allowed to borrow will be determined by your projected rental income. A lender will expect that your rental income will be roughly 30 per cent more than your payments. In other words, they want your rental income to be anywhere from 125 per cent to 150 per cent of your monthly mortgage. These rates are much higher than the average standard mortgage. This is why it is vital for you to know what kind of rental income you can expect. Local letting agents and online pricing sources can inform you of the going rate in your area. Two-year fixes are the lowest-priced buy to let mortgages available, but many potential buyers prefer terms closer to five years. 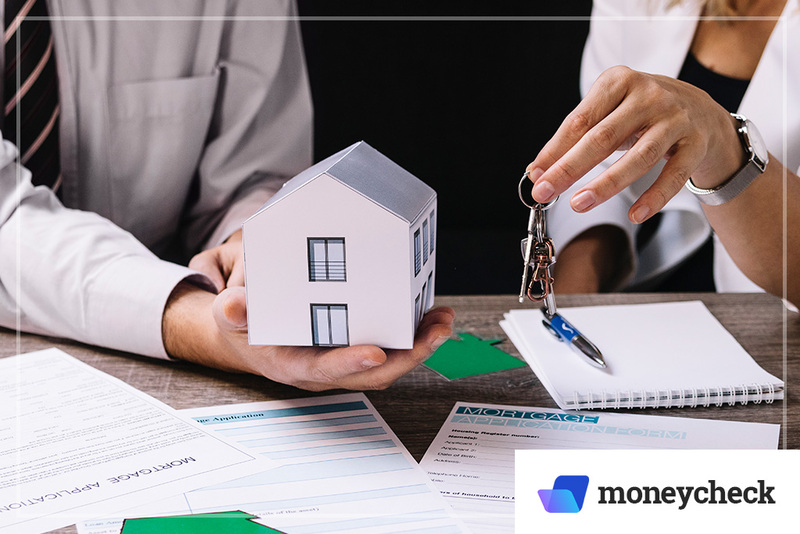 There can be high administrative charges associated with buy to let mortgages, which is another point to bear in mind when anticipating starting costs for your mortgage. For these reasons, buy to let mortgages are a serious financial undertaking and require significant forethought. Nonetheless, they can be a powerful investment for those who plan well and practice due diligence. One final note of importance: These mortgages are not covered by Financial Conduct Authority oversight, whose approved lenders are expected to treat you fairly. With any mortgage, buyers should begin with a solid plan. Buy to let mortgages are no different. Anticipating the financial future is always a difficult process, but there are solid best practices you can use to make the future a little more predictable and, therefore, less threatening to your financial success. Make certain to keep tabs on the housing market, applicable tax laws, relevant legislative changes, and inflation to ensure that you can adequately respond to economic stimuli. Keeping up with these factors, let alone predicting them, can be quite difficult. However, the better you do so, the better your returns will be. Be aware of how a buy to let mortgage and rental income could affect your taxes. Any rental income that is more than what you owe on the interest is taxable, so bear that in mind when it is time to pay your income tax. Additionally, if you sell the property at any point for a profit, you will owe capital gains tax if you exceed your threshold. However, it is important that you do not enter a buy to let mortgage thinking that you can simply sell the property at a later date to repay the mortgage. That possibility relies entirely on how the housing market is performing at the time and whether the mortgaged property is worth more than the remaining amount on your loan. You may end up having to pay the remainder of the mortgage out of pocket if the property does not sell for its earlier value. You may also not be able to sell at all. This is why it is important to have a solid plan in place for using the property as a profitable investment over the life of your mortgage. There will almost certainly be periods of time during which nobody rents your property and you have no rental income. Plan for these times by putting money back to cover the property costs until you begin renting again. Otherwise, your finances will only suffer by turning an investment into another debt. While extra income from a rental can certainly help you improve your quality of life or save for your retirement, be sure to set a portion of it aside each month as a safety net for when your property is vacant or needs repairs. It is good to have responsible tenants who pay rent on time and maintain your property. Unfortunately, this will not always be the case. In addition to normal wear and tear, it is likely that you will eventually have tenants who are late on payments or fail to take care of their rental. These are other reasons why it is prudent to set aside some extra cash from each rental payment as a safety net for any potential problems. How Do I Apply for a Buy to Let Mortgage? Large commercial banks are the most common source for those seeking to start buy to let mortgages. You can open this type of mortgage if you want to purchase properties (typically flats or houses) for the purpose of renting them out to tenants. Lenders typically have maximum age limits, often capping at 75, which means that they will not sign a mortgage with a buyer who will be over that age when the mortgage is completed. To be clear: This is the age you will be when you pay off the mortgage entirely, not the age you are when the mortgage begins. If a mortgage is 30 years, a lender will not sign with you if you will be over the maximum age limit at the end of that time. As with any kind of loan, your credit score is extremely important to potential lenders. They will look at the debt you already possess, as well as your income, and calculate whether they believe it feasible for you to take on more debt and still make payments on time. If your credit score is not good enough, lenders will not sign with you. This is why it is always important to manage your debt as well as you are able and practice due diligence in maintaining a healthy credit score. In addition to this, the better your credit, the better the deal you will be offered on any potential loan. This last point is key, because the amount of interest you will be expected to pay over the life of the mortgage will directly affect how much profit you can expect from your investment. If your interest rates are high enough, you may find that taking out the mortgage is not worth it in the first place. On the other hand, if your interest rates are sufficiently low, you can set yourself up for a strong return on your investment over time. There are some key steps you can take to help improve your chances of procuring a buy to let mortgage or improve the terms a lender is willing to offer. One of the most important things to remember is to pick an area where it makes sense to invest in a property. This involves understanding the area in which you are interested and learning which parts of it are or may become profitable. For your investment to be a success, you will need to find a property in a place that renters value and that you can afford. You can choose property near your own home, especially if you know the area with any degree of depth; however, do not feel as though you need to limit yourself to your own neighbourhood. Keeping all of this in mind will not only help you in securing your mortgage but also improve your chances of maximizing the potential return on your investment over time. It is important never to lose sight of something as simple – and easily overlooked – as supply and demand: what do renters want, where do they want it, and where can you afford it? Make sure that your finances can handle a big investment, like a buy to let mortgage. Lenders will be looking at your income anyway, checking that you make over £25,000 a year. Since lenders will see your income as a sign of what you can realistically pay on a new mortgage, do yourself the favour of realistically assessing the possibility of taking on another investment in your current financial situation. However, the rental income you are expecting is going to be just as important, if not more so, to a potential lender for determining whether you will be able to pay back what you owe. If you find that you cannot pay at present, this does not mean that you cannot address your financial issues and make a property investment sometime in the future. Perhaps most important of all, do not feel the need to take the first buy to let mortgage offer a lender gives you — or even necessarily the second. You have the freedom to check with different lenders to see who is willing to give you the best deal, allowing you to look over interest rates and added fees at your own pace. If you would like, you can also meet with a financial adviser who can recommend the best options for your financial situation and starting a buy to let mortgage. However, plenty of people prefer to make these decisions on their own, and there is no rule that necessitates bringing an expert in if you are sure you are comfortable reviewing the terms of your contract. Never make a large financial decision, such as taking out a new mortgage, without cautiously going over what results you can realistically expect and what a lender will require of you. At the end of the day, this process exists to serve the lender, not the borrower. Lenders make billions in profits each year in large part due to unscrupulous borrowers who make rash decisions or fail to meet the specifics of their contract. Make sure that whatever buy to let mortgage you agree to will realistically serve your interests, needs, and desires for your investment in the long term.